Welcome, today I’m doing a Bulova 96A119 review. 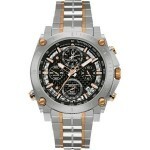 Bulova have been one of my favorite affordable brands for a long time. 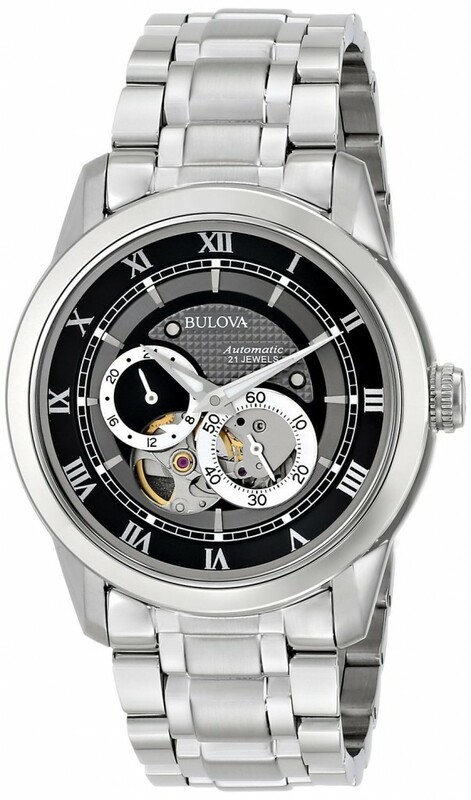 I recently did a top 10 Bulova watches article which is well worth checking out. 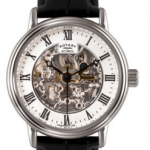 I also love skeleton designs on watches with exhibition case backs like this one so I hope you enjoy taking a look into it below as well. Anyway I’ll get on with my 96A199 review below and you can find it on Amazon, enjoy. Now this really is my ideal style of watch, I love being able to see the workings of the watch so the small exhibition glass on the front is perfect for me. There is also a large exhibition case back on the watch so you can take off your watch and see everything that’s going on inside. The dial itself is easy to read and has luminous hands for reading in dim lit conditions. The movement is a self winding mechanical automatic that features a smooth second hand rather than the tradition ticking, something I prefer also. Self winding watches power them selves from the movement of your wrist, personally I struggle to choose which is my favorite between this and the eco drive series from Citizen but I think self winding wins just from how often you get the exhibition cases that I love. As I was expecting they’ve actually gone for a mineral glass for this watch. At this price I was’t expecting the sapphire style so to get what I consider one down from that is pretty good. Mineral glass is specially hardened to prevent scratches and will deal with most day to day issues. The case diameter is what these days is considered the average men’s size at 42mm however this is actually classed as a large dial. It’s the minimum I would personally settle for as I like these larger dials myself. The thickness of the case is 11mm which is considered to be ever so slightly larger than average. You can expect this watch to sit very nicely on your wrist as it’s large but not overly chunky. This watch doesn’t actually feature a date function and I’m not too fussed about it either. I feel with all the other design features it’s not really required and may have proved difficult to fit into the dial with everything else on show. The watch strap is 22mm in width and made of stainless steel. This is just over the average of 20mm so will be a nice slightly larger fit on your wrist. They’ve decided to go for a standard fold over clasp. I would have preferred their deployment clasp myself as they’re my favorite. 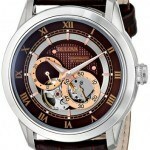 Well, I love Bulova and I love exhibition skeleton style cases so it’s perfect for my style. The dial has a pretty clean look to it making it so you are drawn the the exhibition glass. I also really like self winding watches, I quite like getting up in the morning, giving them their initial wind then just watching them go for the rest of the day. The watch, I feel is good value all things considered. What do you think of it? Let me know in the comments below.